Don Jazzy has announced Rema as the latest addition to Mavin Records after Reekado Banks left to start his own Banks Music label. Rema has been building quite a notable buzz online, sharing freestyle clips and confirming on his Twitter that he contributed vocals for “Turn Up”, the DJ Tunez, Wizkid and Reekado Banks collaboration from last year. When he’s not posting pictures with artists like D’Prince and Wizkid, he’s spiting rap bars with the popular mumble rap cadence, proving the 18-year old artists a talent to watch out for. On “Iron Man”, his debut release under Mavin Records, he displays his ability to fuse Afropop and Hindi film inspired melodies. The result as you’d expect is a fire love ballad which the video Clarence Peters directs portrays in the sultry ambiance of smoke machines, strobe lights and pretty models. “Iron Man” introduces Rema as a passionate lover boy, singing “Anything You Want, Baby Oh/ I Go Give You Love Baby Oh” over an Afropop beat that doesn’t stop the song from sounding like the score for an Indian film. 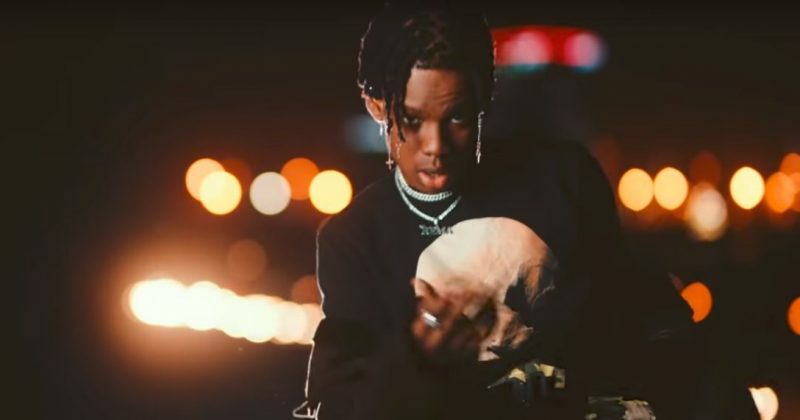 Though the song is his first release under Mavin Records imprint, Rema already debuted “Corny”, “Dumebi” and “Why”. You can watch the music video for “Iron Man” below.